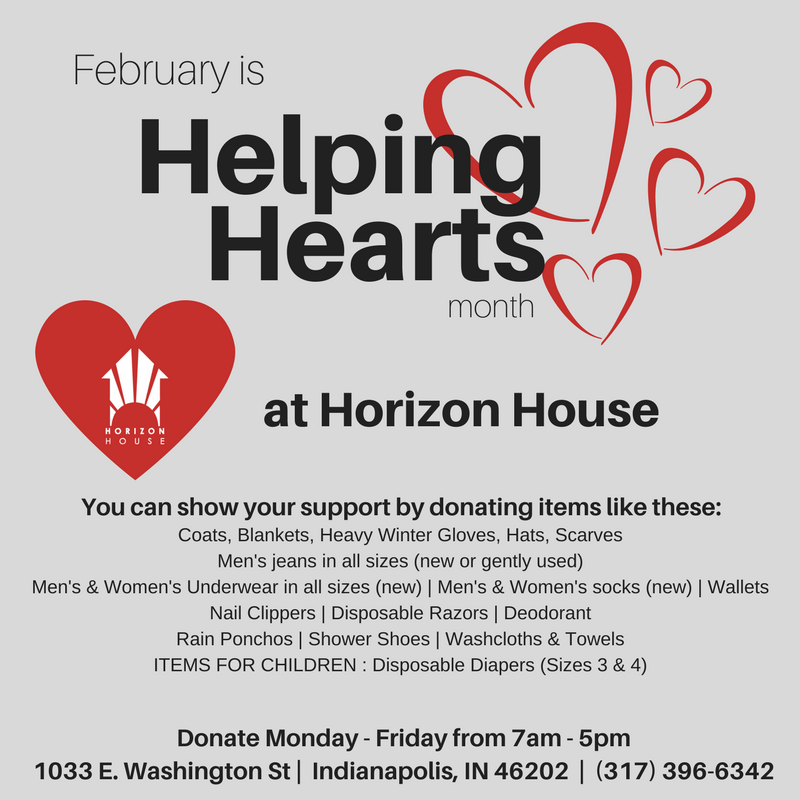 In an initiative to increase donations and community involvement, Horizon House has created themed months. 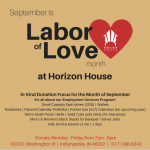 Each month is focused on a different type of need that our neighbors have. 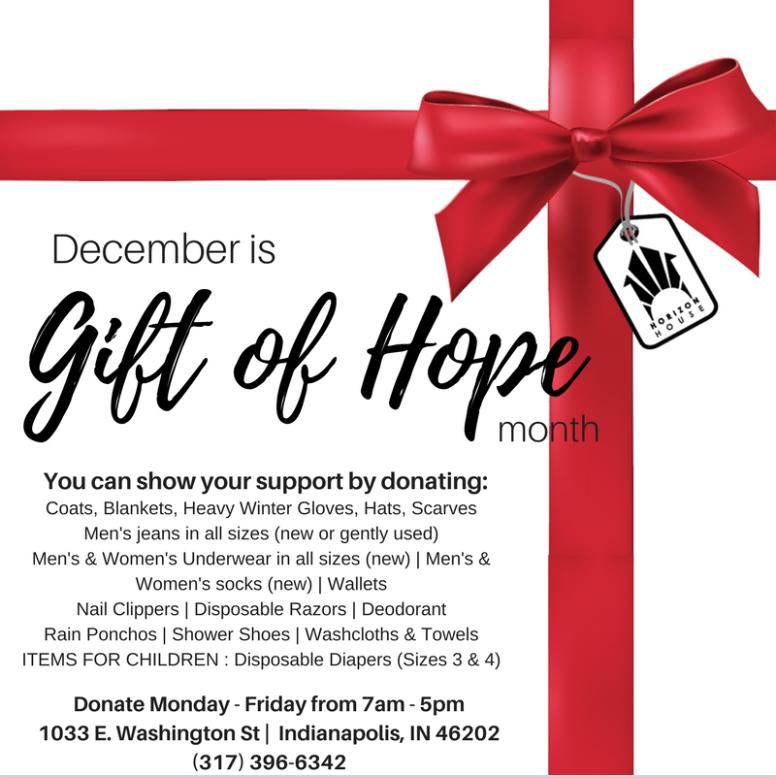 While donations of every kind are accepted year-round, these are our highlighted needs. Providing Help. 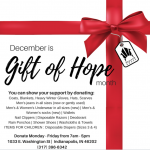 Inspiring Hope. Finding Home. January is all about the Souper-Bowl. 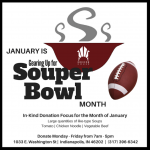 We want to tackle out homelessness and hunger, and so this month donations of canned soup are especially appreciated. 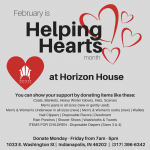 February is all about spreading the love and care to those around us. 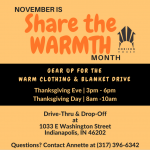 You can donate items ranging from: coats and blankets, men's and women's underwear, and items like deodorant and nail clippers. 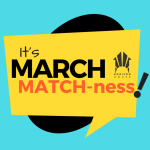 In the spirit of March Madness, we wanted to challenge our community and our team to match the donations we receive. Our April showers mean a place for our neighbors go and clean up. 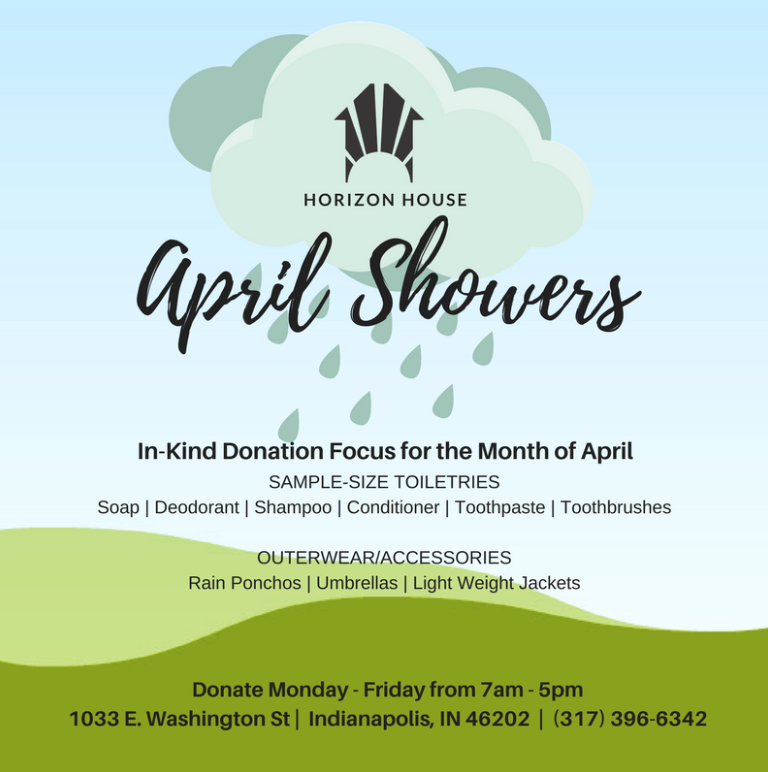 That is why this month we have an increased focus on donations of shower and hygiene items including: soap, shampoo, and conditioner. 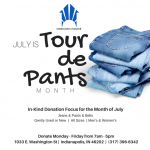 A play off of the Indy tradition, we felt that underwear was one of those necessities there is just never enough of. 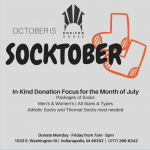 This month our goal is to receive 500 pairs of unused underwear so that our neighbors have one less thing to worry about! 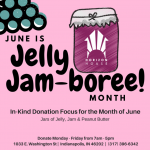 We always try to have at least Pb & J sandwiches available for our neighbors. 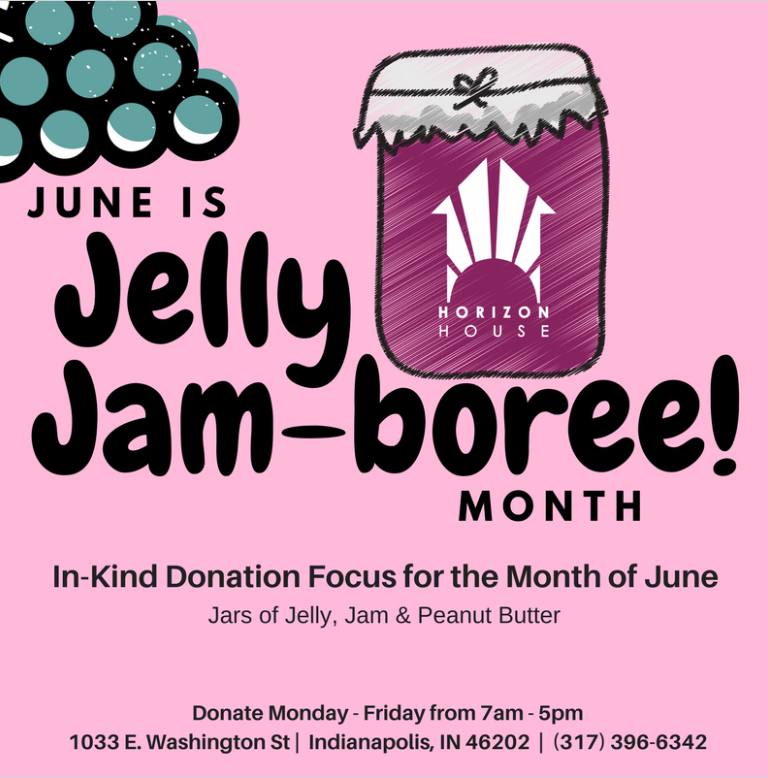 This month the attention is shifted towards making sure we have enough of these items so that we can ensure each neighbor will always have a meal here. 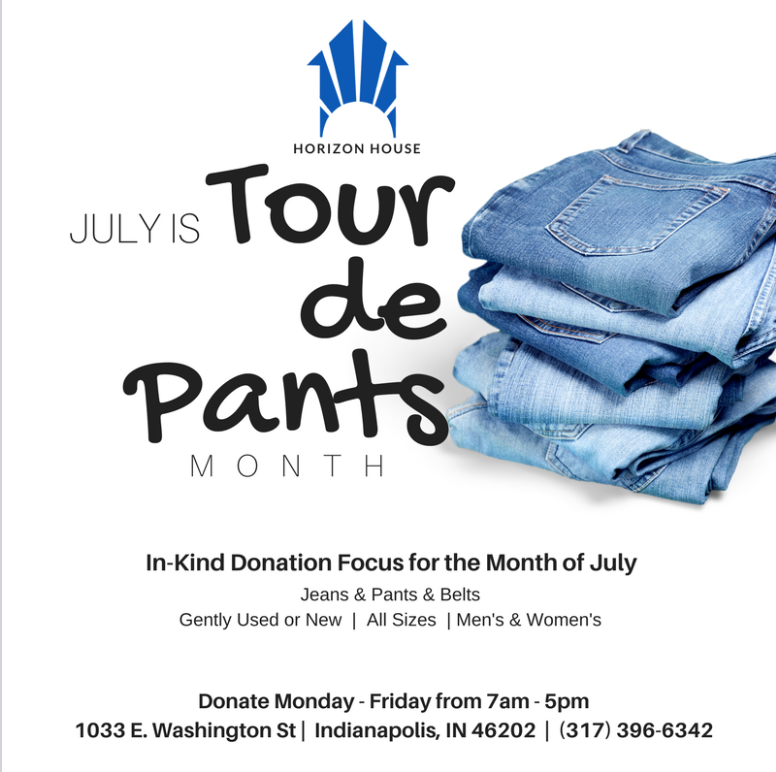 With the Tour de France happening overseas we wanted to have our own race to see how many pants we could get this month. 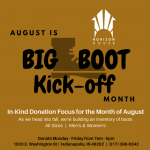 As we head into the Fall, we want to build up an inventory of boots for our neighbors. 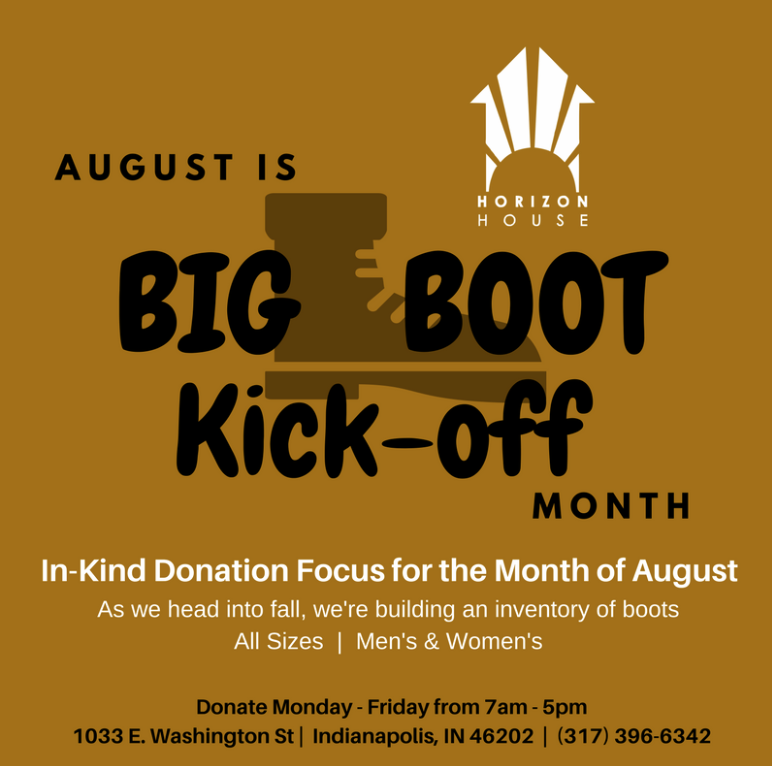 Boots of all shapes and sizes are welcome donations. The most important job you can have is to love those around you. 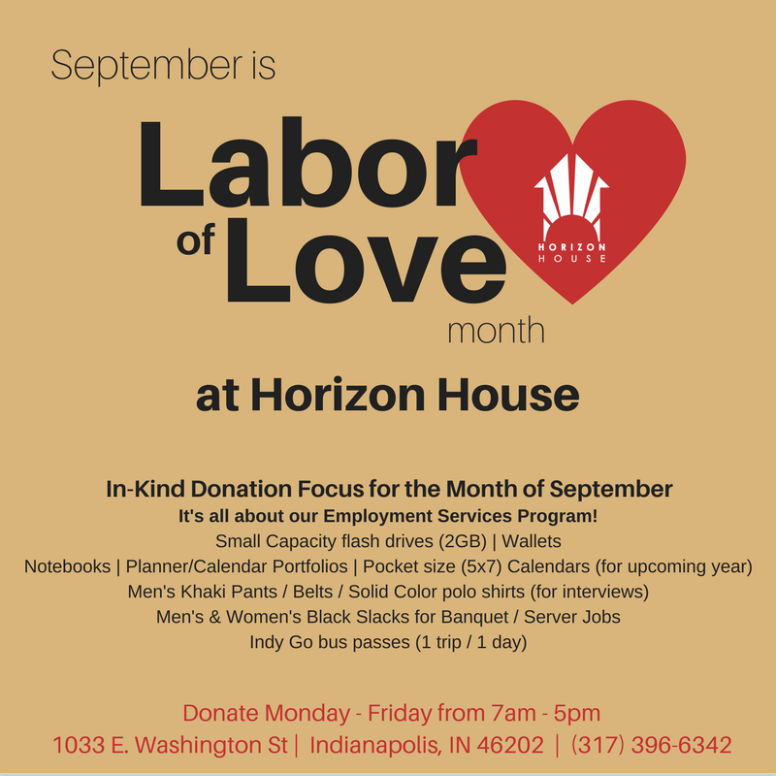 That is why this month we wanted to help spread the love and equip our neighbors for when they go into the workforce again. Items like flash-drives, notebooks, and pencils are very important. Everyone loves a new pair of socks, especially when it starts to get cold out. 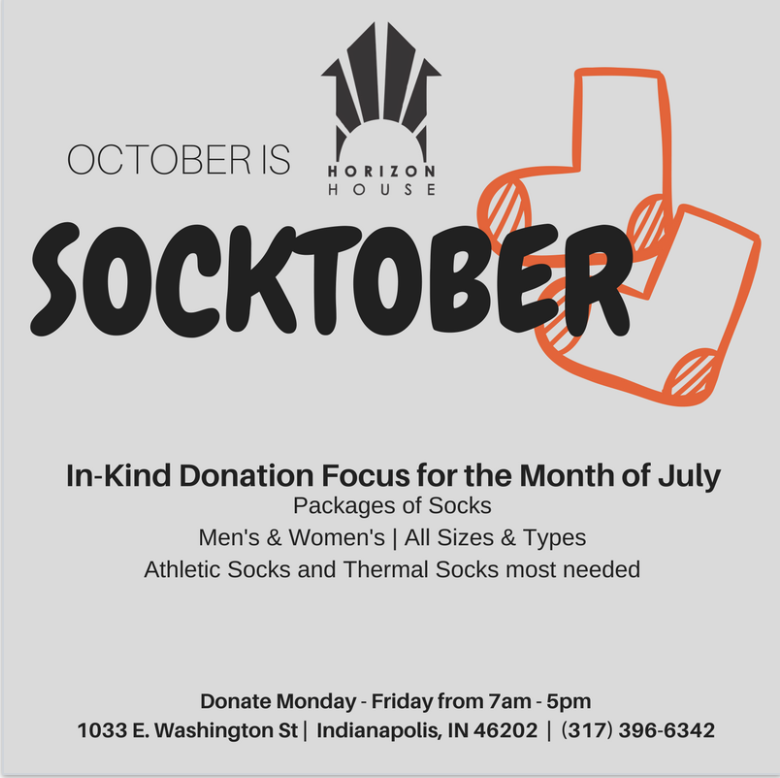 This month we want to make sure that each neighbor is able to keep their feet warm, and that we are able to provide them with clean socks to use. 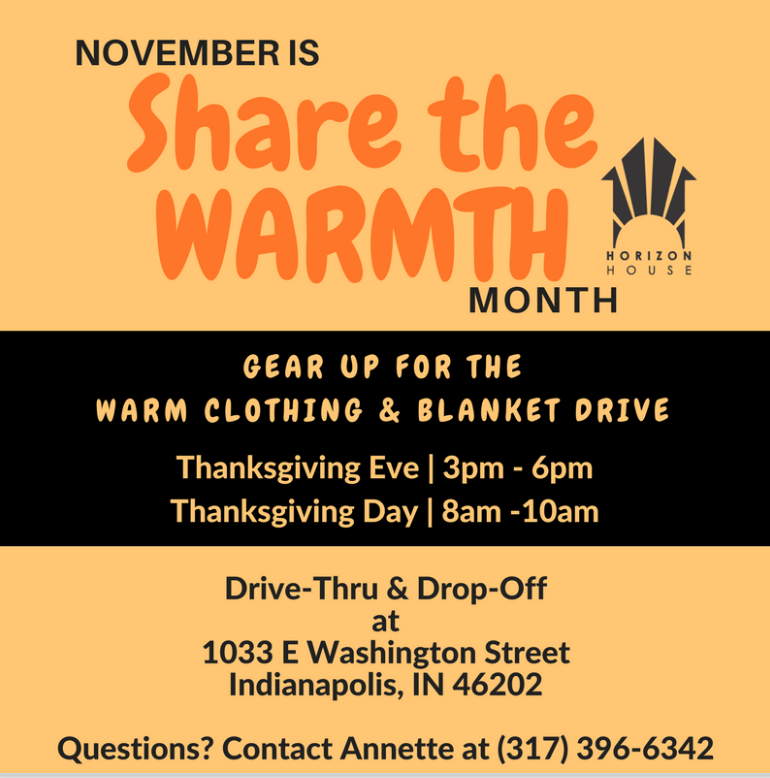 With the cold fast approaching, we want to make sure that in November we are able to "Share the Warmth" by providing our neighbors with coats, blankets, gloves, and anything else they need to brave the cold. No matter who you are everyone deserves a gift during December. 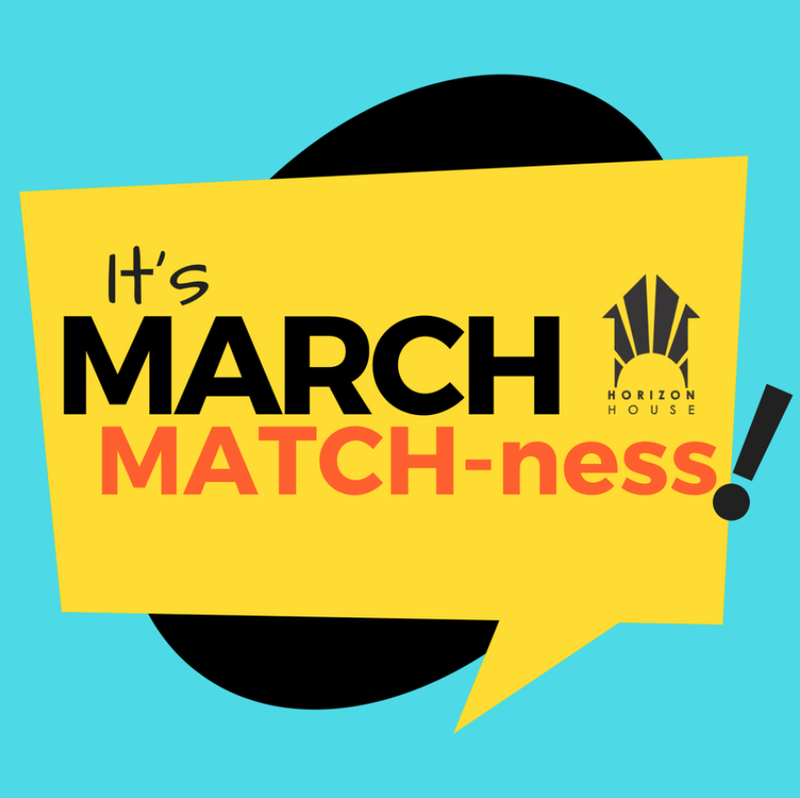 That is why this month is geared towards anything and everything that would be beneficial to gift to our neighbors!